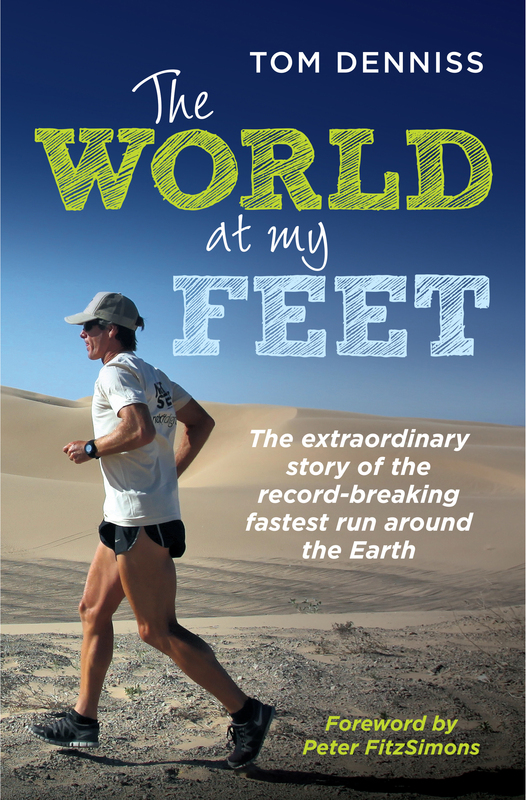 In 2013, Australian Tom Denniss became the fastest person to circumnavigate the world on foot. His epic journey lasted nearly two years, and for each of the 622 days it took him to run around the planet, Tom completed the equivalent of a marathon or more. Based on distance alone his feat was an extraordinary act of endurance, but along the way Tom also survived a near-death experience on an ice cliff as he was running over the top of the Andes, was chased by dogs, snakes and suspicious border police, narrowly avoided lethal cars and buses, suffered in 60-degree heat and sub-zero blizzards, tore through 17 pairs of runners, and raised tens of thousands of dollars for Oxfam. He also experienced an amazing diversity of scenery, culture, food and people as he traversed New Zealand, North and South America, Europe from the Atlantic to the Bosphorus, and Australia from Fremantle to Sydney. The World at My Feet is his account of an incredible 26,232 kilometre run, and a vivid insight into an adventure of truly global proportions. Tom Denniss is an Australian athlete, scientist and entrepreneur. He has a PhD in Mathematics and Oceanography, has invented a technology to convert the energy in ocean waves into electricity, founded a company to commercialise that technology, played professional rugby league and was a finalist in the 2014 Australian of the Year Award. In 2013 he set a new world record for the Fastest Circumnavigation of the Earth on Foot. Tom has served on a variety of committees and boards, including as a member of the Global Roundtable on Climate Change, as the Australian Government's representatvie on the International Energy Association's Ocean Energy Systema Executive Committee and the Australian Government's Advisory Board for the Clean Energy Innovation Centre. He was the first person ever inducted into the Ocean Energy Hall of Fame and in 2005 the technology he invented was named by the International Academy of Science as one of the Top Ten Technologies int he World. Tom lives in Sydney, Australia. A former professional musician, he has played to audiences in eight countries. He has written various articles for newspapers, magazines and journals. This is his first book.